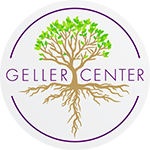 The Geller Center is thrilled to launch our 2019-2020 strategic plan. In December of 2018, our Board of Directors, staff, and community representatives came together to develop strategies for advancing the Geller Center’s mission. We would like to thank our strategic planning committee members: Marley Dunnberg, Jane Everham, Darrick Hildman, Sue Ferguson, John Forrest, Jenny Illig, Kassie Roeser, Sean Simpson, Ben Story, Eric Sunderland, Jim Webber, and Brian Woodriff and facilitator, Annette Zacharias. Click here to download a copy of the strategic plan.